The 2017 convention of the Libertarian Party of California (LPC) was kicked off energetically on Friday evening with an opening reception in Silicon Valley, land of entrepreneurship and innovation, at the Santa Clara Marriott Hotel. Following a mixer, delegates and guests were given a warm welcome by LPC Chair Ted Brown. Alex Appleby, chair of the San Joaquin County LP, introduced featured speaker Steve Bacon, CEO of Rockstar Empire. Bacon moved the crowd with his very personal story of achieving success and control over his life despite an upbringing beset with economic and familial disadvantages. Only recently had Bacon and his wife discovered the Libertarian Party — somewhat accidentally — and they found that the LP platform jibes with their views, 90 percent of the time. Following Bacon’s speech, Brown invited three Libertarian gubernatorial candidates to introduce their campaigns to the attendees: journalist Zoltan Istvan, political activist and rap artist Nickolas Wildstar, and consumer finance and I.T. professional Robert Griffis. The convention runs through Sunday, April 30. Individuals who have been an LPC member for at least 90 days at any time in the past may be credentialed as delegates. Registration packages are still available for purchase at the door. Richard Fields of Pacific Legal Foundation is the keynote speaker for the call to order on Saturday morning. The Saturday night banquet, which will feature Patrick Byrne, CEO of Overstock.com, Chris Rufer, businessman and founder of the Foundation for Harmony and Prosperity, and emcee Baron Bruno, realtor and 2016 Libertarian candidate for California state assembly. Friedman, SCU professor of law and author of The Machinery of Freedom; Dave Schrader on Marketing 101; Edward Hasbrouck on freedom of movement; Antiwar.com founder Eric Garris; Janine DeRose, executive director of the LP of Sacramento County; Keith McHenry; Maggie McNeil, the “honest courtesan”; Matt Kibbe, president of Free the People; as well as elected Libertarian officials Jeff Hewitt, Mayor of Calimesa; Kent Fowler, Feather River Recreation & Park District director, and Susan Marie Weber, Palm Desert city councilmember. Many of you joined the Libertarian Party only after having been inspired by the 2016 Johnson–Weld presidential campaign, and have stayed because you feel right at home in this group who shares your values. Some of you have even been elected as your county’s chair! I can relate: when I first checked out the LP of Santa Clara County in person, I’d already been voting libertarian. But being right there, surrounded by like-minded individuals at our local eatery, got me fired up. Santa Clara County was holding its annual election the week I finally found time to investigate in person. Being a fan of both Ayn Rand and Harry Browne, I’d already been voting Libertarian, so I felt right at home. Like a kid in a candy store, I couldn’t help but get involved right away. I attended every local discussion group and central committee meetings; protested at the post office on April 15; and served as campaign manager for an all–out race for state assembly against a Democrat who had a war chest of a quarter-million bucks. Participating in California and national LP conventions is a great joy—since joining, I haven’t missed a one. What a blast to surround oneself with people who reflect the rational, moral, and practical elements of one’s values. But the business of the convention and its pace can be confusing, so for first-time delegates to LPC’s convention this month, I’ve jotted down a few handy tips. …go! Trust me: you will not be bored. …throw a paperback copy of Robert’s Rules of Order in your purse, backpack, or laptop bag, so you can bone up on pertinent meeting protocol during the convention. This tool really does help large conventions run smoothly and stay on track. …take plenty of business or calling cards for networking. You never know when you’ll meet a potential client or vendor — or an activist with complementary skills to yours, and an equal passion for the Libertarian plan you’ve been hatching. …visit convention registration and delegate credentialing early. Check in with credentialing if departing before the business session concludes for the day. This will ensure the accuracy of the delegate count, which can influence whether the business of the party can be effected quickly and smoothly — or at all. …review LPC’s platform (Ca.LP.org/platform), program, bylaws (Ca.LP.org/bylaws-and-minutes), and of course, the convention rules — at least so that you know the difference. Proposals may be put forth affecting them at almost any time, so it helps to be familiar with them. …visit hospitality suites! See what creative projects, decorating, discourse, costuming, and poetry your fellow innovators are up to. …be afraid to ask questions about the proceedings. Also, the microphone is your friend; if you use it, the secretary will be your friend, too! …be surprised if a passionate delegate asks to suspend the rules to take up whatever this year’s controversial issue is, or if a rousing debate ensues. …forget to explore the exhibit area, to learn what our nonpartisan allies in the liberty movement are doing to shrink big government and maximize individual freedom, and where you might develop coalitions around the hot issues in your region. Elizabeth C. Brierly is editor of the California Libertarian Activist and a life member of the Libertarian Party. A version of this article was originally published in the Feb. 2006 issue of California Freedom. to participate in general discussions. 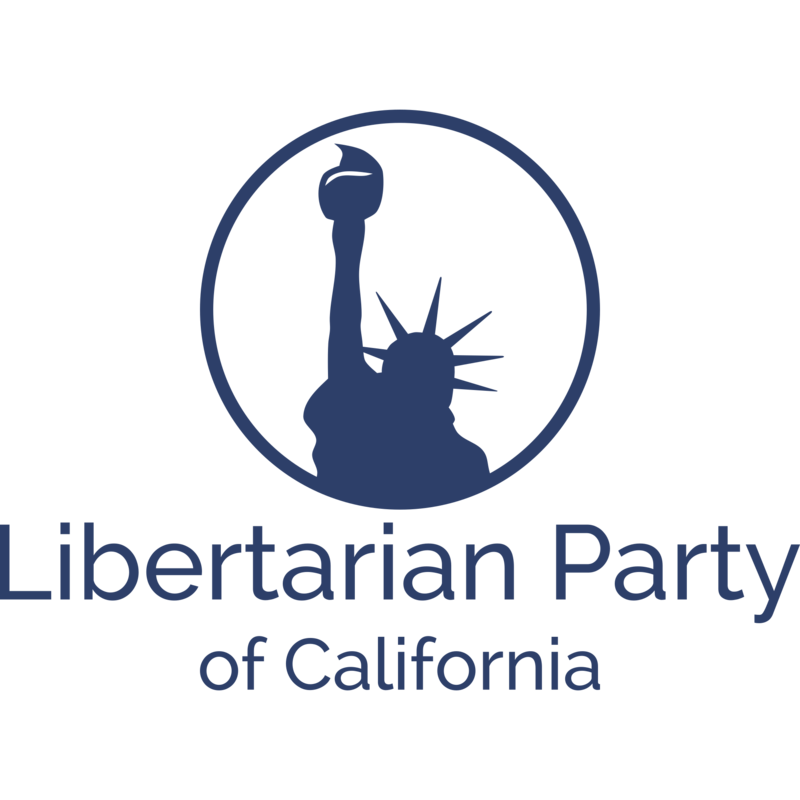 The Libertarian Party of California thanks all of our candidates for their commitment to spreading the message of liberty, and in those victorious cases, for their commitment to the actual work of shrinking the size of government, once in the trenches of elective office. Both are challenging jobs, and these individuals deserve our gratitude and admiration. Here are our Libertarian candidates’ vote counts for our two most recent election days. Thiemer, Aaron Starr, and John Roberts elsewhere in this issue of the California Libertarian Activist. I ran as a candidate for the East Bay Regional Park District (EBRPD) – Ward 2, on November 8, 2016. The result means my future endeavors making our parks a better place will not take place while on the board, anytime in the next four years. That said, I will continue to invest time and to advocate for outdoor recreation. If you have any questions or comments, please do not hesitate to contact me at JohnAndrewRoberts@hotmail.com. community now, and in the future. WHEN: Thursday, May 11, 7:00 – 9:00 P.M.
spring semester voter outreach effort! chair Steven Wood at PlacerCoLP@GMail.com. the general fund due to poor management. their scheme was perfectly legal. City of Oxnard to make them follow the law. expressed toward City Hall was justified. your utility rates … again. governments that refuse to abide by Prop. 218. McArdle uses Tenth Amendment as campaign theme in U.S.
advancing to the run-off, this June 6.
become attorney general of California. against overreach by the federal government. She had pledged, if elected, to slash the U.S.
the registered Libertarians in the district. even easier to achieve, the second time around. local LP; see the county contact list in this issue. on election day at sites in the county. of the LP of Contra Costa County. or less), monthly news and planning, and fun. Chair Jim Eyer, at Jim@JimEyer.net. vision, a new culture, or a new direction. The same is true in the political world. to make them less flexible than ever before. Republicans and Democrats to change. a third party, will compel them to change. Soil Party? Most have not. members to the U.S. house and only two U.S.
that most people have never even heard of. Libertarian Party is that force. come from the R’s and D’s. the Dec. 2011 issue of LP News. letters to the editor, to promote the LP. meeting, along with a photograph of Coenen. our booth at Plumas [County] Fair. tyranny on our civil liberties. us only 921,128 votes (1 percent). Chuck Schumer to a lesser amount. Hillary Clinton will win California. percentage vs. an R and D that year. next meeting is on Wednesday, Oct.
“just please donate” also works. out and mail or fax in. and as will yield a net profit. Class stamps until you’re an expert. probably lose money on the mailing. organize an event just for fundraising. ahead and raise funds at the event. group to fill out the form and donate. It’s okay if your sales pitch is very short. your project and the donor’s ability. doing, who are successfully raising money. how much they are actually raising per year. Bruce Eberle, chairman of the direct-mail fundraising firm Eberle Associates, says that one of the most common flaws in direct mail is overuse of graphics. I say, put a logo on the envelope and on page 1 of the letter, if it’s convenient for you. Otherwise, no graphics at all! Be honest and careful with predictions. One of the reasons I’ve raised money successfully, year after year, is that I’m optimistic, yet honest and realistic. I’m in this for the long haul, and I don’t want to make promises I can’t keep. The LP has been around for 45 years. Our best donors have been around for many years; they are sophisticated, and they know what’s what. Fundraising letters are newsletters, too! I learned from Richard Viguerie, a direct-mail guru, that fundraising letters aren’t just for raising money. They are also newsletters, advertising, and much more. Even if a recipient doesn’t donate, and even if your letter just breaks even, that letter still benefits the party in many ways. The LP of SCC is planning an outreach booth at this year’s 40th annual Berryessa Art & Wine Festival in San Jose. The festival is presented by the Berryessa Business Association and the Bay Area Community Development Services. With art, beer, wine, food, and entertainment, this should be a fine opportunity for us to share Libertarian solutions with hundreds of San Jose residents while they’re at their most…relaxed! Chair Kennita Watson, at Activities@SCCLP.org. LP activists from at least three counties collaborated again at the semiannual Junior State of America convention in Santa Clara on April 22. The mission of the Junior State of America and the Junior Statesmen Foundation (JSA) is to strengthen American democracy by educating and preparing high school students for life-long involvement and responsible leadership in a democratic society. Twice a year, Monterey County LP chair Lawrence Samuels spearheads a trek to Santa Clara, where they are joined by activists from other LP affiliates in the bay area, to meet JSA members — high school students learning and practicing every aspect of political process. At the political fair segment of the convention, they can meet representatives from several political parties and learn what distinguishes the LP from the dominant and alternative parties. They come away with party literature, books, and buttons emblazoned with avant-garde liberty messages. see new volunteers turn out for the even. After packing up the booth, about eight of the volunteers continued the discussion over dinner at Pizza California in San Jose, owned by a libertarian. We are hosting a mixer with free pizza, for anyone who is interested in learning about the Libertarian Party. We will be discussing the local county issues and platform. WHEN: Friday, May 19, 6:00 – 9:00 P.M. This year is flying by, and there is so much positive activity here in Sacramento after the Libertarian Party received so much attention during the presidential election. We are growing faster and building stronger, and we’d love to find new ways to engage our community. Please join in and help us create even more growth and activity this year! This year, we are forming a platform committee. If you are interested in participating, this is the meeting to attend. WHEN: Monday, May 8, 2017, 5:30 – 6:30 P.M. Parking: Street parking may be available. You may also park in the 500 Capitol Mall (Bank of the West) parking garage (entrance off N Street), and we will provide validation. JOIN: If you aren’t already a member of LP Sacramento, please join at LPSac.org/membership. This July, Lawrence Samuels, author of In Defense of Chaos: The Chaology of Politics, Economics, and Human Action, and chairman of the Monterey County LP, will share the story of his extensive research into the political spectrum–and the revisionist history he encountered along the way. His findings led him to write his next book, The Phony Left–Right Dichotomy. WHEN: Saturday, July 15, 2017, 5:30 – 9:00 P.M.
learning. Invite your friends…see you there! WHEN: Thursday, May 18, 6:30 P.M.
FOR INFO: Check the web site at Meetup.com/LALibertarians. WHEN: Wednesday, May 24, 7:30 P.M.
WHERE: Gill’s Indian Restaurant, 838 South Grand Ave, in downtown L.A.
FOR INFO: Check the Meetup page at Meetup.com/LALibertarians. WHEN: Thursday, May 4, 7:30 P.M. While this discussion is not styled as a debate, there will be lively speakers on both the pro and con sides of this timely issue. It’s sure to be a provocative event, and will provide activists the opportunity for outreach to those in the community who otherwise wouldn’t attend a Libertarian Party event. Request to be added to the notification list by e-mailing LPSF chair Aubrey Freedman at Chair@LPSF.org. or contact LPSF chair Aubrey Freedman at Chair@LPSF.org. Party of California as a dues-paying member! freedom and lower my taxes. The California Libertarian Activist serves Libertarians in California and beyond, and is published by the Libertarian Party of California (an affiliate of the Libertarian National Committee). announcements via e-mail to Editor@Ca.LP.org.